"Paypal here is convenient yet compact"
I like the ease of use of Paypal here. You dont have to click so many buttons and links to process payments or to send money. Even if you don’t have a swiper, you can manually input credit card info which works great if your customer is purchasing over the phone. credit card like iPhones can so you dont have to type the numbers in. I loved that Paypal was super accessible and well known and that it does protect your information. It makes you feel safer making online purchases and it is easier to remember a password as opposed to grabbing a physical credit card or account number to make a transaction. The personal transactions are more difficult than they used to be. It's confusing to see which method to use in order to avoid the additional paypal fees that are added to business to person transactions. The app is also confusing to navigate. If you already use and love paypal as a point of sale system then you will love Paypal Here. When people purchase from me and want to send money-as stated before, it is confusing to decide which sending method to use and annoying that Paypal charges a seller's fee. So I do recommend most of my customers go through my website as opposed to interpersonal transactions. "pay instantly, pay here with paypal"
"Paypal has been invaluable for my personal and business expenses." The one issue I find frustrating is the time it takes to transfer funds from Paypal to my bank account. I have waited at least a week at times which I think is too long. For this reason I have used competing online payment services that provide money transfers withing 1-3 days. Tracking customer invoicing can be a headache. With Paypal it's really simple, saves time. Also, thorough communication is provided with emails sent immediately to me and customers. It is beneficial from a time management perspective to have both personal, as well as business expense and revenue management all in one place. "Send and receive money all around world safely"
I really like PayPal platform send and receive money securely. PayPal provides global money transfer processes where you can send money wherever you are to where you want the money to be sent to so long as you are connected to the internet. its also provide service on a mobile platform. so easy to use. They charge very high transaction fees compared to other competitors. otherwise its good money transfer platform. It is easy to get the money from my client all over the world. Send money also very easily. My brother studying in the USA its easy to send money to him. "PayPal the king in Money Transaction Site"
PayPal is the faster, more secure way to pay online. 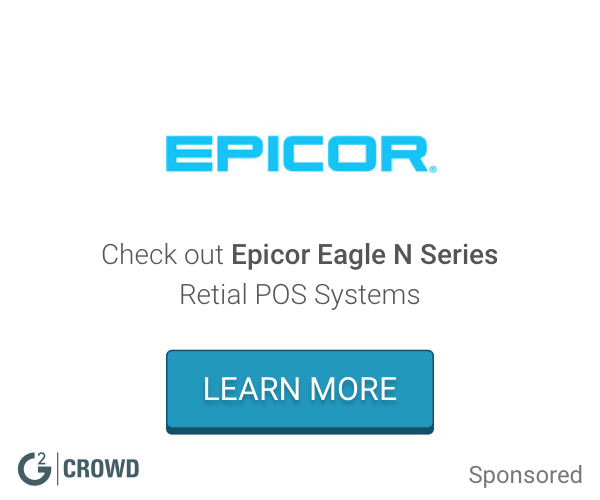 It lets you pay for your favorite things at millions of online stores in the U.S. and across 203 global markets—all without the hassle of converting currency. So it’s just as easy to know how much you’re spending as it is to spend it. It's free to sign up for a PayPal account. "Easy way to accept credit cards"
I like that I can use this even for online sales as long a I get the CC info. I wish that I could use it when offline. I am an author and often sell my books at events. Even if I have no wifi I can still get the customer's info and process later when I am online. "A friendly way of making and receiving payments"
Sometimes your payments can delay for long and also the customer support of PayPal Here is so poor they should pull up their socks on how they handle customers. I encourage every business person to be using PayPal Here to send and receive payments. "A name you trust gets even better"
I loved the low rate that is charged as opposed to other competitors. My clients knew and trusted the PayPal name so they felt secure when paying through PayPal Here. I no longer use the services but that's only because I sold the business that I used it for....if it wasn't for that, I would always use PayPal Here! I'm a hard person to please when it comes to running my business, but honestly? There isn't anything I don't enjoy about this product/service. Sometimes when I was using a competitors payment system, my clients wouldn't feel completely secure when paying. PayPal is a trusted, well-known name - so my clients were more willing to pay via this method. All is needed is only your Paypal email address for online payment no need putting your credit card detail. Most online platforms don't accept Paypal for payment. PayPal has a hold on funds until you manually transfer it over. They aren't FDIC insured which means funds lost or whatnot are not recoverable in some instances. Customer service isn't always easy to get ahold of. "Paypal here is everywhere "
I enjoy the convenience of PayPal, as most online shopping sites offer it as a payment method. I dislike that PayPal isn’t 100% secure. In the past, my PayPal account was hacked and cost me tons of fraudulent purchases. The convenience of PayPal Here makes it worth a trial run. Give it a try, just be sure to generate a strong password for your account to ensure safety from hackers. We are trying to offer customers a more widespread payment acceptance method. We have noticed that it is quite convenient and leaves customers thoroughly satisfied. I like the summary of account/account overview section. You're able to see transactions, previous and repeated ones with ease. It's a secure way of handling your balance and money. There's nothing that I severely dislike about PayPal. I've never had an issue of security or anything. I've been able to securely use PayPal for business transactions and expenses. The fact that PayPal is recognized as a viable form of payment is what allows for ease of use on a broad level. If not for PayPal Here we wouldn't have been able to accept all the payments for our last event. We didn't realize how many people actually wanted to use debt cards instead of cash. Sometimes the card reader takes a few minutes to sync up with PayPal but its really not that big of an issue. Highly recommend this for anyone needed to accept payments with a card reader. "Everyone uses it so I use it"
Paypal is the go to option for receiving money online. Although there are many other options, Paypal is quick to set up and well designed. Even if you don't have a card swipe or machine to use you can manually input credit card information. it's rather compact so you don't have the access of the information you would have on the desktop site. It very easy to use support is amazing very few complications. The ability to accept payment immediatel. 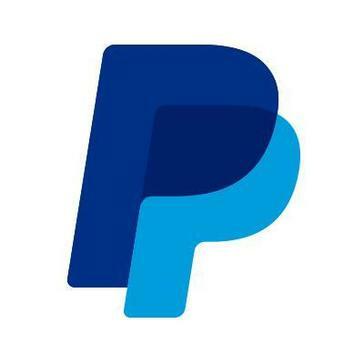 * We monitor all PayPal Here reviews to prevent fraudulent reviews and keep review quality high. We do not post reviews by company employees or direct competitors. Validated reviews require the user to submit a screenshot of the product containing their user ID, in order to verify a user is an actual user of the product. Hi there! Are you looking to implement a solution like PayPal Here?